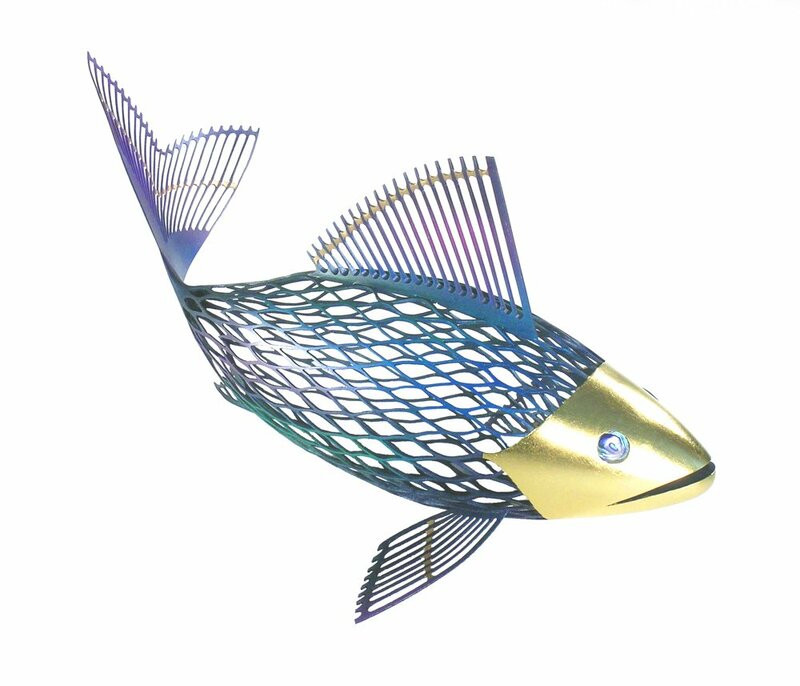 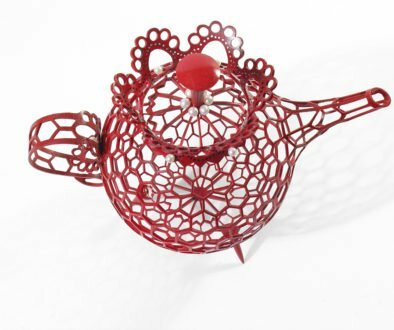 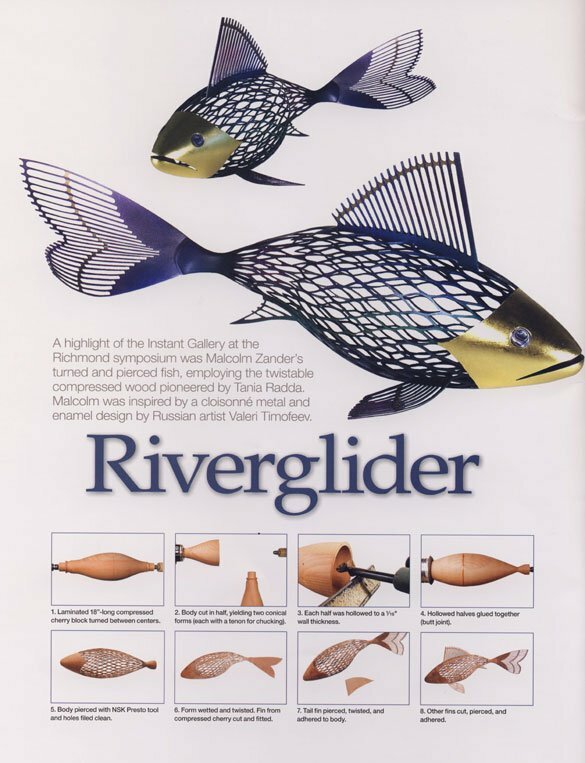 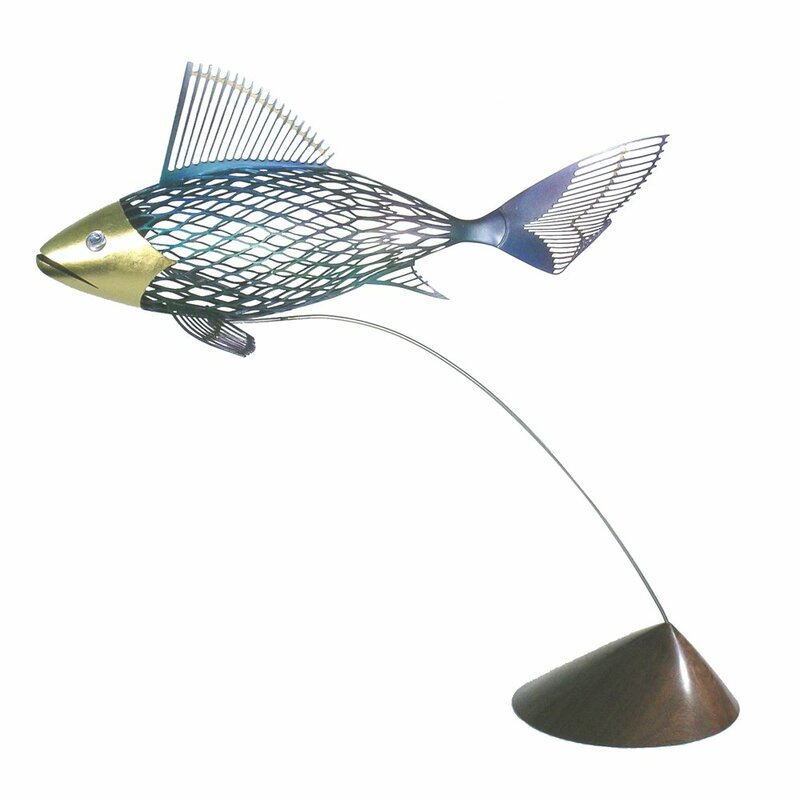 Riverglider was inspired by a cloisonné metal and enamel sculpture by Russian artist Valeri Timofeev. 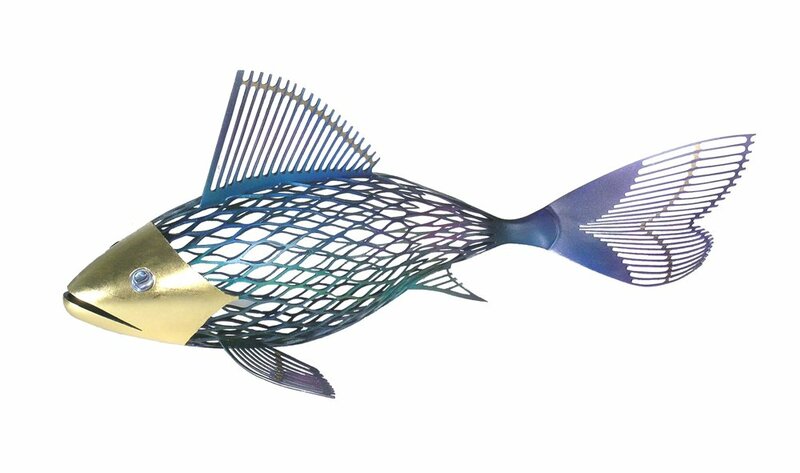 I wanted the fish to have a realistic twist in its tail, so I used compressed wood to do this. 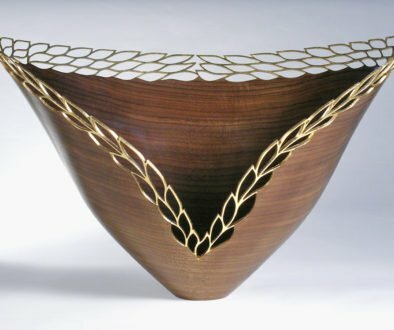 The process is described on the back page of the Winter 2008 American Woodturner.